The neighbourhood of the Eixample Dreta is one of the most popular neighbourhoods of Barcelona. 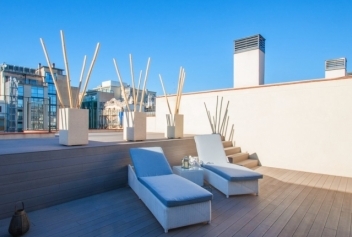 Pass through the city’s most famous streets, such as Paseo de Gracia, or walk along San Juan or Rambla de Catalunya. 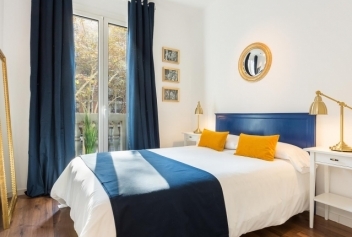 Here you can find well known landmarks such as the Sagrada Familia, the Arc de Triomf, or the house of Gaudi Batllo and Mila.Our apartments in this neighborhood are fully equipped and will allow you to enjoy a pleasant stay in Barcelona. 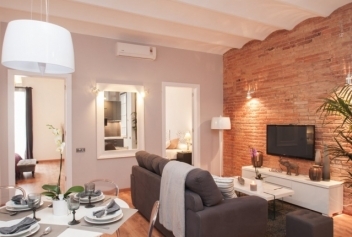 Take a look at our list of apartments in Eixample Dreta below. 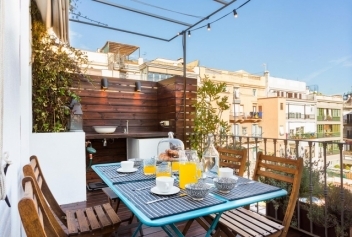 This 85m2 apartment located on the second floor of a tipical Barcelona building can accommodate up to 5 people , â€‹â€‹you will be blown away as soon as you walk through the door. The fully renovated and furnished apartment has everything you need to make your stay unforgettable.